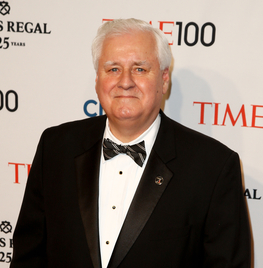 Now that Time Inc. is an independent company, its CEO — Joe Ripp — is going to have to expend some energy discussing what lies ahead. Those talks began with an interview with The New York Post. Ripp was quick to shoot down a couple items — the possibility that the publishing house might buy a big brand, and the chance that Time Inc. could (once again) consider merging with Meredith. “There will be opportunities for acquisitions, but I don’t see a transformative acquisition in the near future,” Ripp said. He then added that the once-storied romance of Time Inc. and Meredith was completely dead. “I’ve had no conversations with Meredith and I have no plans to talk with [Meredith’s CEO] Steve Lacey in the near future,” Ripp told the Post. As for the rumors that a rash of layoffs are on their way, Ripp commented, “It’s not about downsizing, it’s about are we making the appropriate investments in our products.” Which is a great way of saying nothing at all.